]1 Sword dancing at the Scottish Fair. Photo Courtesy of Macalester Archives. The performance of Highland dance (the Highlands are a historical region of Scotland, where many of these traditions originated), a traditional Scottish dance marked by frequent vertical jumps, was an annual feature. In one variation, the appropriately-named sword dance, dancers prance and jump around swords. In 1975, 80 dancers from Minnesota and Canada competed in the dance competition. ]2 Sheep herding at Macalester in 1991. Photo Courtesy of Macalester Archives. Fair-goers could also partake in traditional Highland games. The caber toss requires quite a bit of strength as competitors have to toss a 15-foot caber, or pole, as far as they can. Corey Gordon described the caber as resembling a “telephone pole” in his December 12, 1975 article. Naturally, it wouldn’t be a Scottish festival without bagpipes. The Macalester Pipe Band, along with other pipe bands, performed and competed every year at the fair. 1981 featured bands from Illinois, Iowa, Wisconsin and Canada, as well as local bands from the Twin Cities. Judges from around the country selected the best of the bands. ]3 Caber toss in the Highland Games. Photo Courtesy of Macalester Archives. In its foundling years, the fair was held on Shaw Field. However, the location caused challenges in terms of space and crowd control. In 1979, organizers proposed moving the fair to the stadium, allowing Macalester to change a fee for entry—the fair was previously always free. Unfortunately, the change conflicted with a track meet invitational and was met with backlash and near boycott from the track team. Forced to reschedule the meet, Coach Bolstorff complained the change would cut down on the number of teams that could come. “It won’t be much more than an interconference meet,” he said in a March 2, 1979 interview with The Mac Weekly. Another annual fair tradition was the sheep herding demonstration. 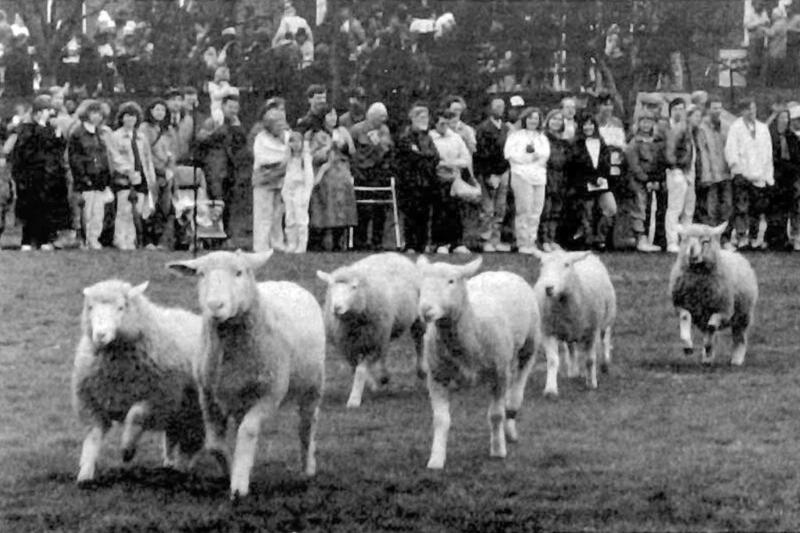 In 1991, eight sheep and a sheep dog shared the spotlight in the demonstration, to the delight of 6,000 spectators. Although usual wool-shearer wasn’t present that year, the sheep put on a great show. Macalester students seemed to really love the wooly animals. The February 22, 1974 edition of The Mac Weekly reminded students, “Pets aren’t allowed in the dorms – there are 20 sheep in room 128 Dayton.” Were students raising them for the sheep herding spectacle or perhaps to spin their own wool? It’s unclear. 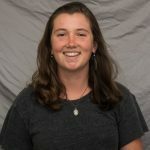 Katrin O'Grady (she/her/hers) is a senior from Sherborn. MA. She is currently a staff writer. She has been on the staff since fall 2015.